Let me ask you this: how does it feel to receive likes for one of your profile photos? It really feels good, doesn’t it? If you really think about it, since the debut of the “Like” button, Facebook has made it its trademark; the new modern non-verbal signal for different types of human social interaction. Every time a change in Facebook’s functionality occurs, there is always a wave of both passionate positive and negative reactions, and that’s quite an evidence of how much it really influences us. All these years, we grew up with Facebook in a time when you could only “Like” a post, even if it was a post referring to unpleasant events, war, accidents or even death. We grew up with Facebook and we were accustomed to the thought that the number of “Likes” mattered. We learned to feel elated when we gained a lot of “Likes”, and disappointed when nobody interacted with us. Till yesterday everything was easy and quite straightforward: either you liked something and you gave the thumbs up either you didn’t and you kept scrolling without reacting at all. The truth is that there were times where we could not “interpret” well the reaction of a friend to a post. Seeing likes to news announcing dead? It seemed sick. 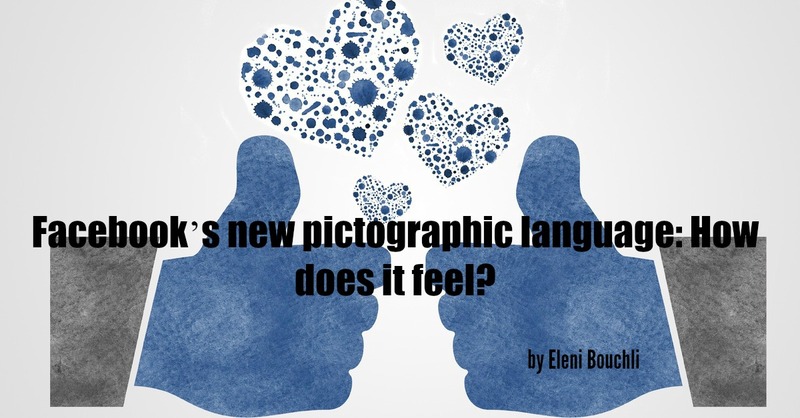 Now, with Facebook having conquered so many aspects of our daily life and even dominating the way we see the business interaction, we are ready to face a new challenge: How do I feel? Do I feel like loving something, do I feel like laughing, astonishment, sadness or even anger? You have many options to choose from! Although you may have a lot of friends, you must have noticed that you see more news from the ones you generously give the thumbs up in comparison to some others. That’s because Facebook’s algorithms rely on engagement to determine what makes it into the News Feeds of its users. 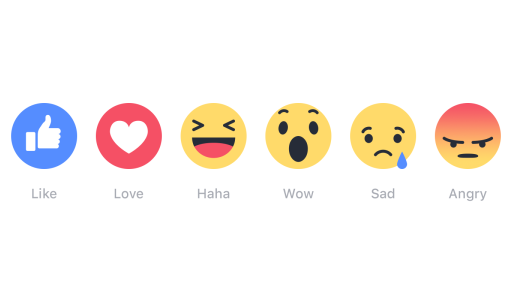 More emoticons are translated for Facebook into more interaction. The new emoticons aim to improve not only the amount of interaction but also its quality. All is a question of money and more advertisement. We should not forget that Facebook has to sell advertising. Targeting is important because it means better holding onto customers. So Facebook calls us to diversify and express our feelings in the given offered emotional bandwidth but in the total it counts the interactions as a whole; it does not bother to sum up separately the love, the hahas, the wows, and so on, at least on our screens. The apparent aim is greater engagement, more reactions to posts. It’s about the possibility to give the option to users have a non-verbal response to posts that don’t warrant a comment while at the same time benefiting from the least impactful acknowledgement available. I can say that Facebook, apart from making us craving for attention, made us also more polite in the social media world because it gave us only the option to “Like” something. And liking something has a positive emotional weight. That’s why it did not opt for a dislike button which would actively foster negativity. Facebook built its empire and corporate identity based on the likes of its users. It made the thumbs up icon a trademark of its service and it wishes to promote positive emotions. Positive engagement means more engagement, and more engagement means more sales. Nobody likes disapproval, shame or to be scolded about his views. And Facebook knows that very well. However, the users now are given the possibility to express a somehow negative feeling: anger. The introduction of the anger reaction doesn’t necessarily mean that one is angry towards the poster or the post itself, so seeing it on one of your posts wouldn’t make you feel uncomfortable about being active on Facebook’s social platform. It’s all a matter of interpretation. All these wouldn’t be needed if Facebook had opted for a button of neutral acknowledgement, something that would say simply “I saw this.” This would mean that something would still make it to our timeline without having to elaborate on our feelings. The new emojis will make us think more about our emotions or even leave us undecided. “Over time we hope to learn how the different Reactions should be weighted differently by News Feed to do a better job of showing everyone the stories they most want to see,” wrote Sammi Krug, Facebook’s Product Manager. And this is something we are going to wait to see. Welcome to the new age!